By Smart Lighting Solutions, August 3, 2017 in Have a tip or idea? 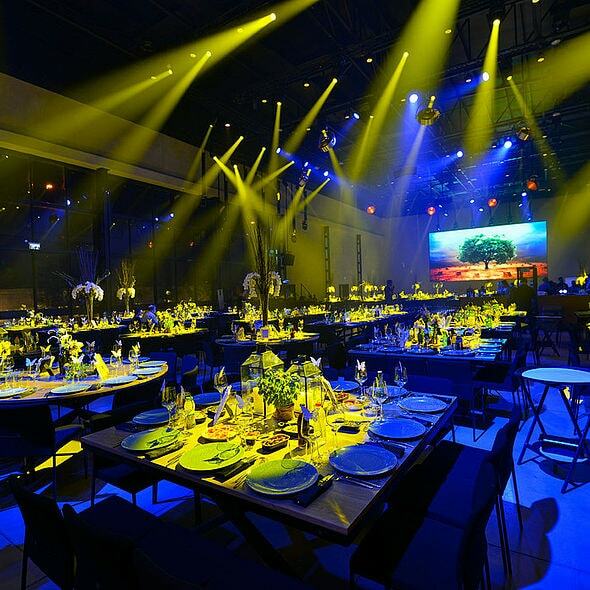 The wedding industry in Israel is a massive and highly competitive sector with fierce rivalry amongst the top venues to offer the best facilities … making good technical production in the main reception rooms an absolute key to ensuring each event is trending … so when Nesher Edri launched his new enterprise LARA, he specified 60 x Robe VIVA LED spots. For this venture he has used his experience, knowledge and enthusiasm from running another leading wedding venue, Signal - where he originally started as the sound and light jockey - to ensure LARA would be a premium choice for The Big Day. He has teamed up with entrepreneur Yigal Ben Lulu and chef Zeev Tamarov to create LARA as the ultimate wedding experience. 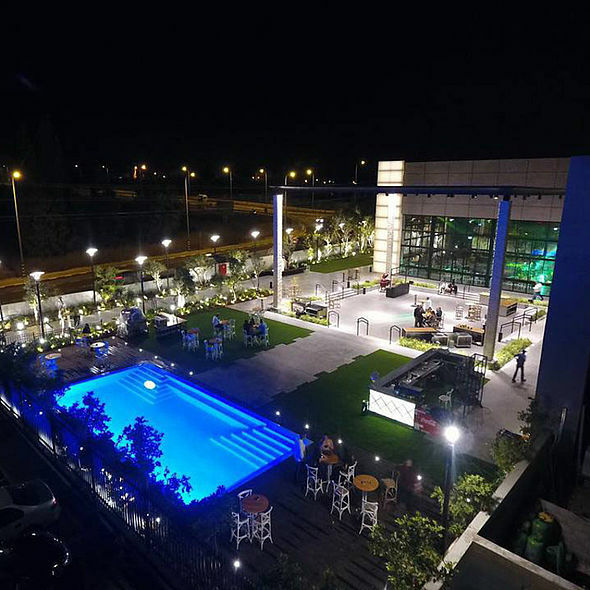 Located at Kannot Junction, 40 minutes’ drive from Tel Aviv, LARA can accommodate 800 people inside and another 2-300 outside around the pool and has been a meteoric success within two months of opening. Having the very best production values has also underpinned the LARA concept, so the 60 x VIVA LED moving heads are right at the core of the lighting rig above the main dancefloor. 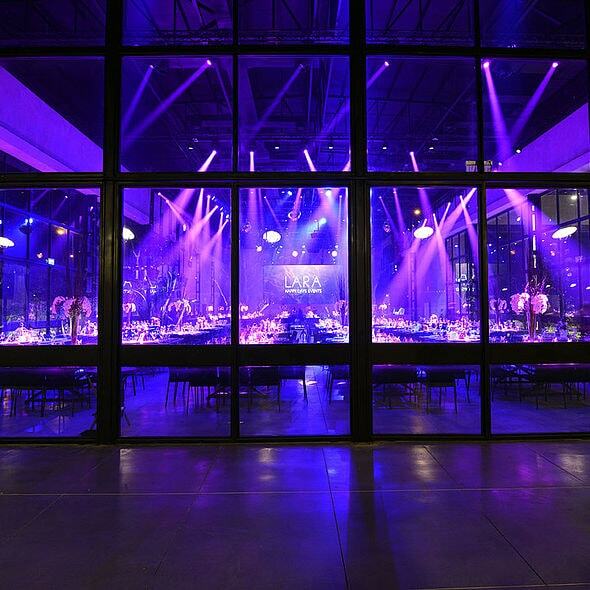 “I simply wanted absolutely the best sound and lighting and so I chose Robe - I think it's the best!” he declared. 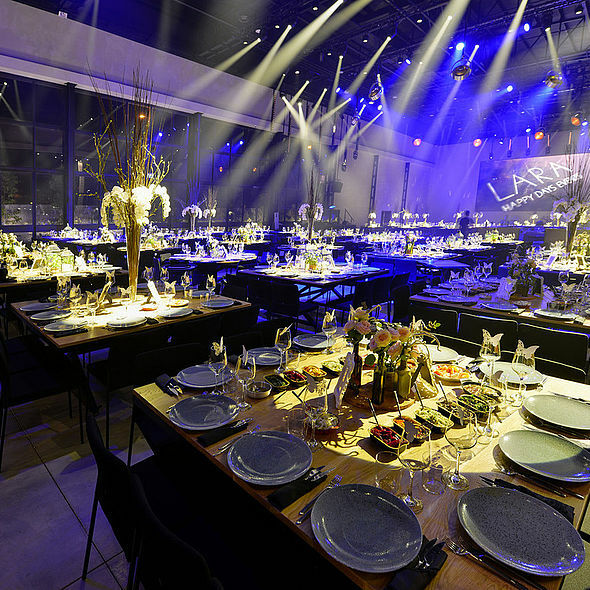 Alter acquiring the land at Kannot Junction, Nesher designed and built the venue from the ground up, fine-tuning the various details to ensure everything from the architecture to the feng shui of the space … is perfect. 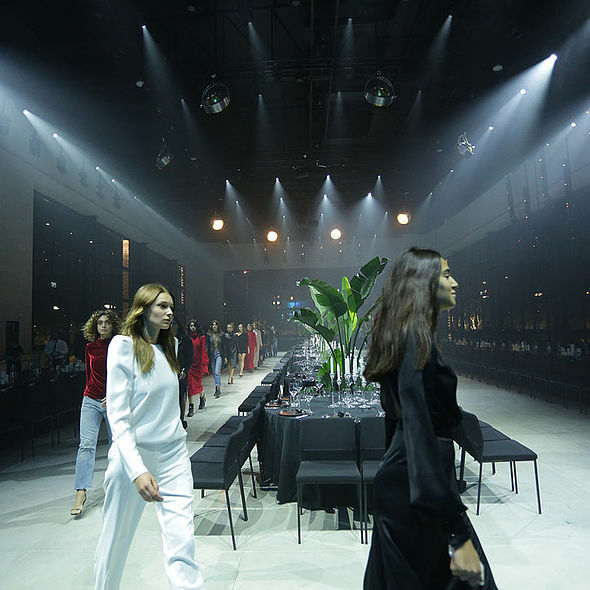 The VIVAs together with the rest of the lighting production were supplied by Danor Theatre & Studio Systems and are installed on a series of Matt black triangular low-profile trusses in the roof of the main room. "I’ve been in the industry for a long time and working with Robe products for many years," says Nesher, "but this is the first opportunity to actually own any fixtures!" and he is clearly excited by the prospect! For quality, he decided he wanted to invest in a properly European manufacturer in the early planning stages, then picked the brand and then finally assessed all the Robe options available … before choosing VIVA. An LED luminaire made sense for the longevity of the basic investment - wanting hardware that would last at least 5 years without needing replacement and the VIVA was also an excellent all-round choice that fitted his technical spec and budget, with the bonus of expedient ongoing maintenance and running costs. He liked the VIVA’s multiple features and functionality and the fact that it's a reliable hard-edged product with a good zoom, nice gobos and an excellent quality of light. He added eight PATT 2013s to the order which can be deployed in the main dancing area. Initially he wasn't sure how they would be utilized, but “They are such amazing looking lights” he was certain they would be appreciated in many different ways with the sleek looking combination of wood and brushed steel. 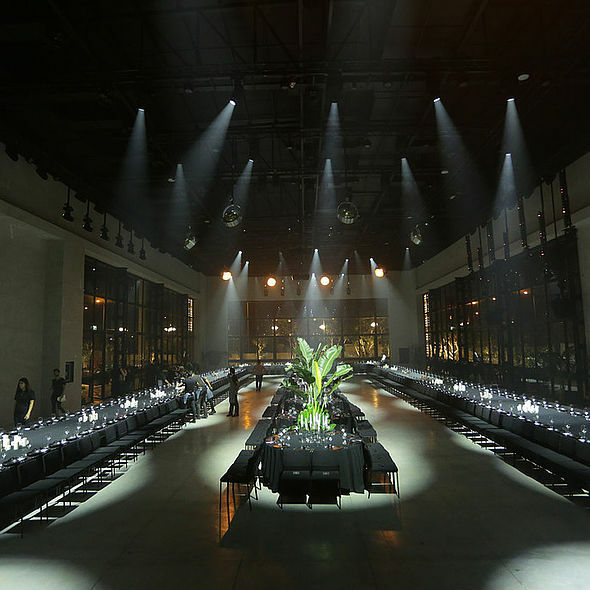 “The finesse of the PATT 2013s reflects the general aesthetics and vibe of LARA” he said, even though at the time of the interview … we were still in the middle of a building site with frenetic activity, cement floors being poured and steel being installed! Now that is a distant memory and the fabulous streamlined modernity and contemporary design of the finished LARA is wowing clients and guests alike. Nesha had already taken a substantial amount of pre-bookings before opening and business continues to thrive now LARA is fully up-and-running. “It's all about offering a quality experience” he concluded, the architecture, interior design and decor, food, music, services and facilities and capping that all off ... the technical production. Sound Sculpture is an interactive public art installation that allows participants to create music compositions through the arrangement of large, durable light-up blocks. Using a precise positioning system, each block is mapped in real-time and lights up in musical sequence as participants position and re-position the blocks, creating collective musical and sculptural designs that will be synchronized with live musicians. This led table stool is the perfect accessory to light up your next event or party. It can be use on living room, bedroom(night stand), bar, nightclub, restaurant, patio furniture, outdoor anywhere. LED Furniture • LED Bar Table Chair "Clover"
LED lighting sofa with a lot of modern design sense of style. The large number of colors and color programs ensure that that is the 'show' never a dull moment. The high-quality battery inside lasts depending on the setting of the light intensity self-sufficient without power source between 8 and 10 hours! LED Lighting Furniture • Led Lighted Chair / Stool "LED Apple"
LED Lighting Furniture • LED Bar Table "LED Bubble"